France under the rule of Bourbon King Louis XVI was the envy of Europe. During his reign beginning in 1774, France had more people and wealth than any another nation on the continent. 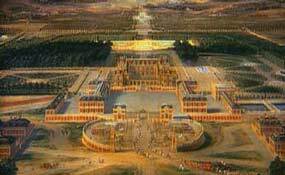 From his glittering palace of Versailles, Louis XVI and his wife Marie Antoinette pilfered Frances resources while their people suffered. Across the Atlantic in America, Great Britains thirteen colonies declared their independence from the rule of King George III on July 4, 1776. France, seizing the opportunity to regain colonies lost to the English, entered the war and helped secure American independence. Thomas Jefferson drew upon the ideas of the Enlightenment  the rationalist, liberal, and humanitarian trend in 18th-century thought  in defining the rights and privileges of citizens in the Constitution of the United States. Similar ideas had planted firm roots in Europe. Enlightened despots such as Holy Roman Emperor Joseph II, Catherine II of Russia, and Frederick II of Prussia enforced new social and political ideals. The French people grew restless for change. Although Louis XVI considered social and political reforms, he was unable to overcome opposition from his queen and court. Sheltered from the discontent of their people, their grandeur remained untouched. The works of the late Enlightenment philosopher and political theorist Jean Jacques Rousseau infused the population. Emboldened by his writings, radicals demanding greater rights attempted to force reforms on the government. Sensing the changing tide of power, Napoleon Bonaparte, a young artillery officer with limited prospects, found in Rousseaus words the key to his destiny. JOURQUIN: He was quite affected by Rousseau and the philosophies of the Enlightenment. Liberty, equality, these are important notions for him because it is how hes going to be able to succeed. Napoleon does not have any well-defined convictions. He becomes a left-wing revolutionary because it is they who are the strongest. 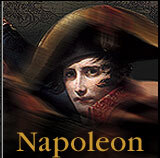 Napoleon at the time is someone who is trying to establish good links with people who have the power. In the summer of 1789, the French peoples anger boiled over into the streets, and violence erupted throughout France. Mobs of citizens cried out for liberty, equality and brotherhood. The monarchs of Europe looked on in horror as revolution threatened to topple the greatest monarchy on the continent.